I must say I was really impressed with all of the quality DIY projects, crafts and recipes linked up to this past week’s Inspire Me Monday link party. There is so much talent out there that I hope you take the time to investigate! A few amazing makeovers caught my eye. 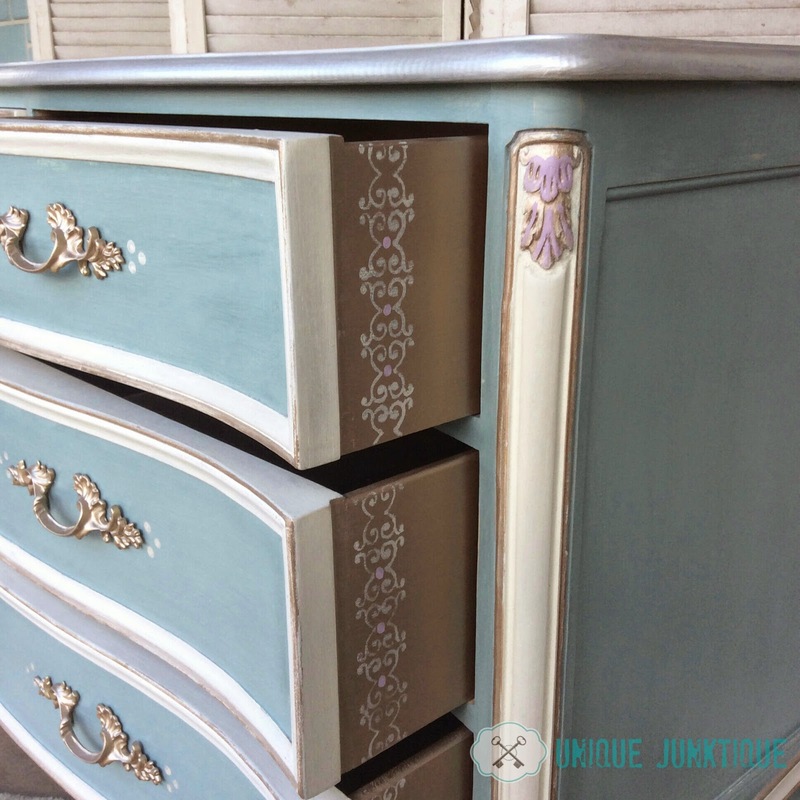 I am very happy to feature 4 Fabulously Unique Painted Furniture Makeovers! 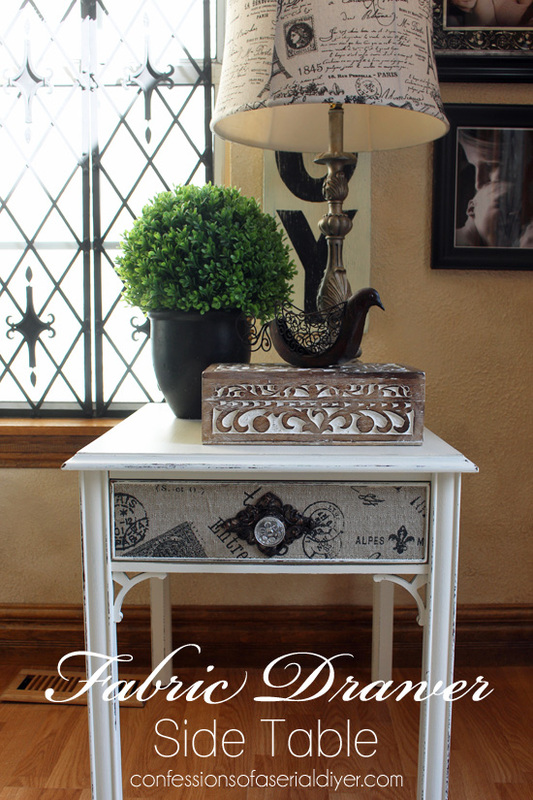 Make sure you click each link to see what the furniture looked like before! You will never look at a thrift store find the same way again. Aren’t you inspired to go out and paint something now? I sure am! Have a wonderful weekend and I hope you join us again next week for another Inspire Me Monday! 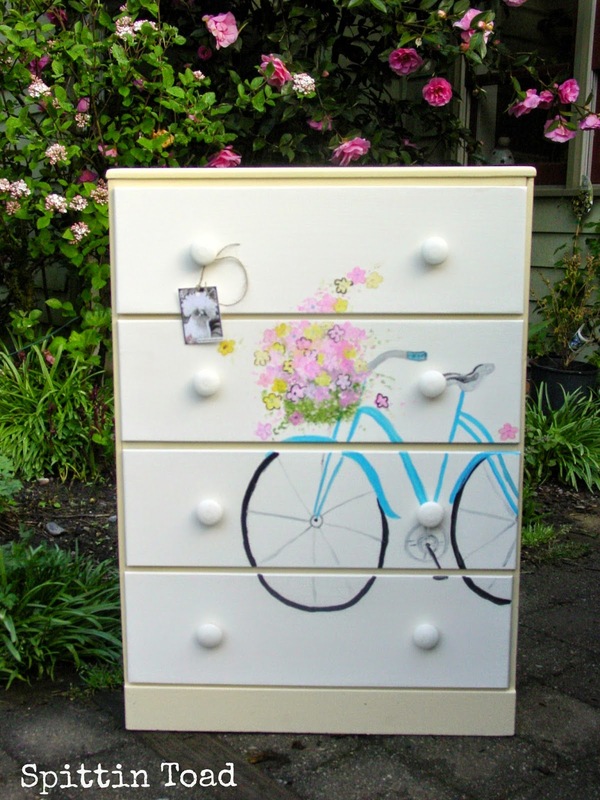 Kim, Thank you so for including my bicycle in your line up of painted furniture…what an honor!! 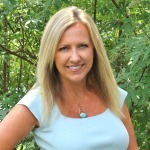 Thanks so much Kim, for adding me to this great grouping! So glad you enjoyed the dresser set! Thanks for the feature Kim! Thanks for sharing all of these different cute painted pieces! 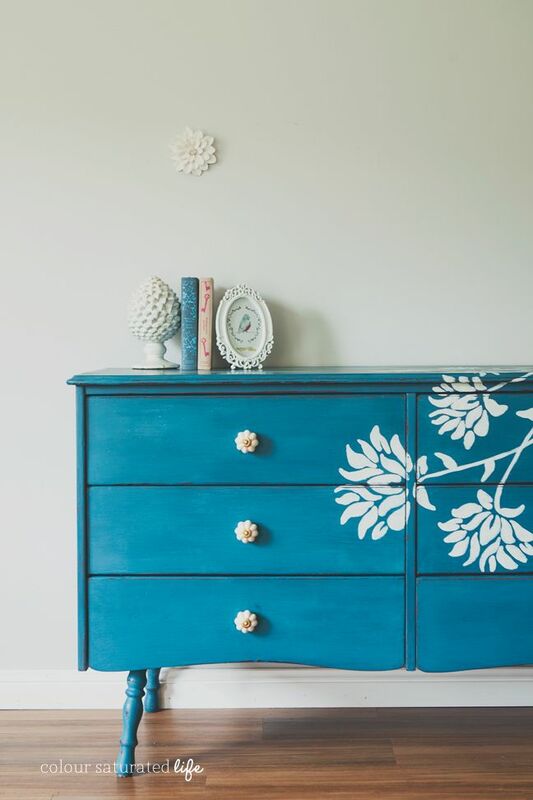 I would love to get some old antique cabinets of mine painted, especially since their current color doesn’t match too well with the rest of the decor. To you have any tips on choosing colors?